Software giant, Oracle, is rumoured to be in talks to buy consultancy house, Accenture, according to reports from The Register. The report said Oracle has hired global specialists to explore the feasibility of buying the company and has engaged a team of consultants to conduct due diligence to “explore the synergies that could be created if they [Oracle] bought Accenture lock stock and barrel,” an unnamed source said. The article added that in addition to financial considerations, the consultants are evaluating the pros and cons of the buy, including the potential impact on Oracle's wider channel. The article quoted two unnamed sources as basis for the move. “While these things have a habit of fizzling out, there are some fairly serious players around the table,” a contact added. Another claimed the process was at an early stage. "If buying Accenture was a 100 metre race, Oracle is at the 10 to 15 metre stage now". But there are interesting repercussions if the deal does, in fact, go through. While Accenture is already an Oracle partner and was the first to qualify for the vendor’s diamond partner status, it also has deep ties with rival Amazon Web Services (AWS). If the rumours are true, the fascination of Oracle’s founder, Larry Ellison, with AWS could also be a reason behind the move. In 2015, at AWS re:Invent, Accenture revealed that it was going “all in” on AWS. The two companies also launched a business group initially focused on enterprise migration, which has since been expanded. 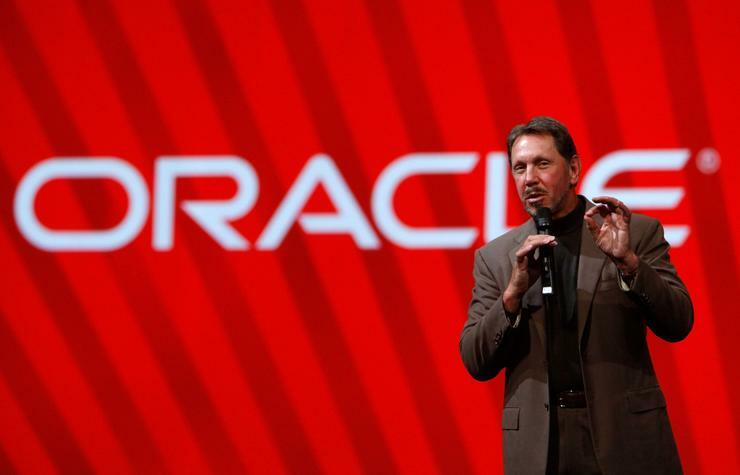 If Oracle does end up buying the company, this is likely to be reviewed. Oracle also recently added infrastructure and platform services to its local cloud offerings. The company has offered cloud software in Australia since 2012. Accenture reported US$32.9 billion in revenue in its 2016 financial year, which ended on 31 August, and has a market capitalisation of US$77.5 billion. As for Oracle, it reported US$37 billion in revenue for its financial year, which ended on 31 May 2016.